" 2D CAD, powerful and free"
- It is a standard file viewer drawing .dwg and .dxf (there are some more). - Multitude of tools to edit technical drawings. - Although it is a deep software, I was used to other similar software such as AutoCAD, it was not difficult for me to adapt to draftsight. - It is available in many languages. - It has free version and paid versions with more features. - When registering the software we had many problems with the allocation of licenses. - The interface is cumbersome, and sometimes heavy. - It is complicated to use, since it has many functionalities and you have to know and understand each of them well. - You need a powerful enough computer to be able to operate it minimally well. - Does not allow 3D drawing. - I miss a version for Android / tablet. - If you are used to AutoCAD, it will not represent any effort, since Draftsight is very similar to AutoCAD. - It has compatibility with dwg and dxf, which is more than enough to be able to open most CAD drawing files. - In our company we use it basically to be able to visualize drawings and plans made by architects or interior designers. - It's free, and comparing it with your competitor (AutoCAD) saves us good money at the end of the year. - It is not easy to use, but with a minimum of instruction we use it perfectly in our daily work. "Free DWG and DXF editor with AutoCAD like user interface"
DraftSight's user experience looks very close to AutoCAD, so those already accustomed with the more famous CAD application will find themselves immediately at ease. It allows to read, edit and save DWGs and DXFs, using both model and paper spaces. If your office mainly uses other CAD formats and DWGs are just used as interchange format, DraftSight is very useful to check, preview, and edit files without buying an AutoCAD license. It could also be useful to produce documentation for small projects as well. It also allows to convert DWG drawings in other formats, like SVG. The print dialogue interface is a bit rough and here and there some AutoCAD features are missing. As for now, it lacks a DWF export. The need to often renew the registration of the program is a bit annoying. It is a very effective AutoCAD alternative, maybe less robust and bit simplified in some part. The possibility to preview, check and edit a popular interchange format as DWG without having to pay for a licensed software is precious. Similarly, this free product can be used to do simple drawings in early design proposals, which are more likely to be put on hold, while more complex, licensed software is used on later design stage, which are usually more profitable. Also it helps in quick turning DWGs in SVGs, that could be later used in Inkscape or as starting drafts for 3d modelling in Blender. "Open DWG Program That Helps with DWG Translations"
Draftsight actually has a good tool set. Such tools allow zooming, editing with lines, drawing, dimensioning, etc. The program is basically a bare-bones automated CAD drafting program. Its main virtue is that it can be utilized to review translations from programs like PowerCADD and VectorWorks. One can download it from the Draftsight website. PC and Mac versions are available. Unless one obtains the "Pro" version, one does not get a version with macros or other power tools, or library objects. There is no object intelligence. Check your hardware requirements as this program runs on 64-bit machines. My firm has found that translating documents from non-AutoCAD programs to DWG is not seamless. One has to check how the text translates, as well as the dimensions and other CAD objects. DraftSight gives us the ability to view the translated document pretty much as an AutoCAD user would receive it. Any errors in translation can then be corrected in DraftSight or back in the original CAD program. "A great solution if you need a basic drafting program." It has all the basic functions which we need, and it is free. Plus, you can upgrade to their more advanced packages if and when you need to. There could be more documentation provided - it is a bit sparse. I would check it out. It is developed by Dassault who are a big name in CAD software, so they know what they are doing. And it is easy to upgrade to their higher level software. We don't do a lot of drafting, so we don't want to pay for a full package like AutoCad. Draftsight does everything we need. I like that DraftSight is a free 2D based software that can be used by those of us in the engineering field where we don't use 2D often, but it gives us the option without buying a full license. I dislike that the software UI appears to be a bit dated compared to others. But what more can you expect for a free software. It makes it easy to lay out quick 2D sketches to get the idea across to other coworkers before taking the time to fully 3D model it in another software. It gets your ideas layed out quickly and easily. "Great tool for drafting and detailing"
This software is free to use. I never seen such an user friendly cad software. There are certain things you can do in couple of steps whereas the similar kind of software takes so many steps to do. Icons are more generic so it’s so easy to do all the work on the go. I used to make dxf file to cut in flow water jet and plasma table. There are certain tools are unavailable in free version. The The premium version not worth the money. Those who want a CAD software without spending any money than this is the best software. It will do the job without any problems. Generate DXF file for flow water jet cutting. It’s far easy when compare to other tools. "The Best 2D Cad for the Money! Free Version Great Too." 99.5% of the dwg functions of the leading national brand, even the paid version is just a tiny fraction of the cost. The paid version does offer additional support and more commands than the free version. So far it has proven to be far more stable than the other 2D only cad software that I use. I'm one of those advanced users who will occasionally miss that .5% In order to protect the company some command aliases are different, so you have to spend a little time learning it. Plot settings are a little clunky but for free or even for the $99 (on sale) paid version it's worth dealing with. If you're a student or an amateur, I highly recommend the free version. If you are a small business who only needs an occasional bit of 2D drafting the paid version with its extra support is worth it. Draftsight gives me an affordable platform for working from home or on the road. Another great plus is that it works on Linux. "Excellent free software for editing 2D drawings"
I use DraftSight to read, make edits, modify, and scale 2D scene drawings in .DWG format. The functions are simple to use, the program loads fast, and it's free to download. Great alternative to AutoCad as long as the task is in 2D and not too complex. I can add lines and objects in layers and export to PDF easily. DraftSight is only suitable for drafting in 2D. It doesn't handle 3D models or manipulate them. For that, I would use Solidworks or 3D Studio Max. The scope of DraftSight is limited to making simple editing (lines, text) of a 2 dimensional model. I read, make edits, and revise drawings in .DWG format using DraftSight. I also use it to create scaled scene drawings from Google Earth aerials. It's like a free version of AutoCad with familiar graphical interface. "A cheaper alternative to AutoCad"
DraftSight offers almost the same interface and with similar commands as AutoCad. It also supports the native DWG format. It is free to use and also offers a Professional version, which is a lot cheaper than Autocad. It keeps reminding to register in the free version, you can register for free else use the software upto 30 days. It sometimes freezes for a second or two but that is the case with AutoCad too. The website is a little difficult to understand when it comes to knowing where to download. There are some new features of AutoCad that are missing in Draftsight, but they're getting there. If you're using ACAD LT, you probably wont face any issues. It helps a lot in creation of CAD drawings and offers a cheaper solution for my consultancy. "Free 2D CAD complete software"
Draftsight is a free (no cost) 2D CAD (as in Drawing) app, with a very complete creation and edit suite of tools. It has all the basics you would expect for drafting and generation of technical drawings. Excellent for architecture, civil engineering, mechanical engineering and similar disciplines. Compatible with AutoCAD DWG/DXF formats. The lack of even basic 3D may be a downside, at leas for viewing. The freemium model may not amuse everyone. Must try as first option before buying AutoCAD, specially if you think you won't need the 3D capabilities. Also less resource intensive than Autodesk DWW viewer. Fast creation and edit of technical drawings. Also an excellent DWG/DXF viewer/printing app. The no cost and low system requirements are very beneficial to use in the office and on the go. I am able to draw basic plans and drafts without paying an expensive license. Have not been able to activate Draftsight Professional since purchase in February, 2018. Have not been able to contact anyone at the site despite many, many tries. Unable to cancel and stop auto renewals. I am totally unsatsified with the lack of support and unable to use my subscription. I realize they must protect their technology, but activation has been unsuccessful for me. "My review after using DraftSight"
I like that DraftSight is very easy to use and that it is also very intuitive. I liked the vivid colours and the simplicity of this software. I also like that for a CAD tool the price is accessible and it doesn't break the bank. With a small learning curve and an easy transition from any other CAD tool, DraftSight could be a perfect match. I don't like that sometimes in the middle of doing a task it just freezes for 5 seconds or so. I don't like that the site seems outdated and from another century. Please update it! Having flat or pixel perfect buttons and a responsive design would be so much more than it is now. I would recommend using it because it is cheap and simple. It does the job well compared to other CAD tools. "Good interface, decent feature set, up-to-date file formats"
Support for 3D mice (3DConnexion). Limited import file formats (need PLT). Limited spline editing features (tangent handles, etc.). Consider your file format version support and features you are currently using for that old version of AutoCAD you have been relying on since 1997. Does your current drafting tool work in Windows7/8/10? Maintenance of legacy AutoCAD drawings. Extension of drafting capability for EDA users. "DraftSight - Drafting Software Review"
DraftSight has a "professional pack" offering --for professional grade CAD product use -- as well as a free 2D drafting download, with which I have had most of my DraftSight experience. While many other CAD softwares only run on a Windows platform, DraftSight works easily on a Mac. The content and interface of DraftSight is very user friendly, maintaining similar symbols, icons, and inputs as other standard CAD software; these similarities enable easy communication between various CAD softwares when individuals are sharing files. No new graphics drivers or hardware are necessary for DraftSight products. File sizes are not gargantuan and exchanges between other softwares is easy. The company focuses on efficiencies and using customer feedback to improve their product---new product releases occur with the professional line of the product as well as the free version. Via the "DraftSight Community", they maintain extensive "user's guides," "resource libraries" and "user communities" that include blogs, training videos and other tips for product usage. The online solutions are easily navigable and offer succinct answers to broad and specific questions. While DraftSight does update users with new product features and offerings, they do not suffocate you with sales campaigns or relentlessly pitch new upgrades for a large cost. I also like that DraftSight offers a free download of the user's manual that I can reference digitally whenever needed. While DraftSight offers "DraftSight Community" for all users, the next level of technical support is the Prosumer, which offers advanced configuration and telephone/email support.....at a cost of $100/month or $315/12 months, it seems like a lot of additional money to pay on top of paying for a professional version of the product. I have not used the professional version as extensively as the free version, but the free version often times closed down on me unexpectedly in the middle of my session. Luckily, my settings were on autosave, so progress was not often lost in a work period, but it did happen often enough that it would get annoying. Very comparable to other drafting softwares, so there is no need to memorize new icons or inputs. It is an easy download, user friendly, and has solid technical support and resources. If you are looking for a program to read and write all dwg files, the free version of DraftSight is a great option. I cannot speak extensively about the Professional version, as I have not thoroughly explored all of its features and capabilities. I used this product primarily for architectural design. I would work on the free software version to initiate concepts and explore various design ideas. It is quick, easy to communicate with other softwares, and economically, I loved that it is offered for free. "A-CAD For Everyone and Every Budget"
There are several things that I like about the DraftSight software. Among them, first and foremost is it's FREE. But not only is it free, it is actually a good 2D software program. It is fairly equal to the Lite version of AutoCAD. I like that it will edit all versions of DWG files and you don't have to pay for upgrades every year as conventional CAD software requires. Now granted if you need more functionality there is a Pro version for about $300.00 that provides more programing options, additional drawing tools and short-cut functions. The biggest problem I experienced was with "-" (Dashes) in an imbedded Excel table. They would sometimes disappear through various Zoom scales and be very elusive to select and delete. I guess the second most annoying issue was how to handle multi-sheet drawings within a single file and printing them. That may have been an issue carried over from AutoCAD though. 1. Has to only edit legacy DWG files and the purchase of a more powerful and expensive program is not economical. 2. Has only an occasional use for a DWG, DXF or 2D CAD software program. 3. Is new to CAD and would like to experience the benefits. 4. Doesn't have a powerful enough computer to run the high-end CAD software. 5. Designs Home projects to build and for solving trigonometry and geometry math problems visually. Many companies are using or moving on to 3D modeling now. But previous companies that I've been with basically used DraftSight to update legacy AutoCAD drawings and the free version was sufficient for that. It also provides everyone to have viewing options of stored files without any additional expense. "Great alternative to AutoCad for light use"
You can view and edit 2D CAD drawings with the free software. I need to view/edit AutoCad files a few times a month but could not justify the cost of a AutoCad license. This does everything I need for free. Hard to beat for what I use it for. When you use the free software, every time you open the program, you get a window with a huge "buy now" button and a very very small "no thank you" button. The no thank you button is so small it is almost hard to click on. So I always leave an empty window open so I don't have to click the small button every time I need to open a drawing. If you only need 2D autocad for use and do not use if frequently, the free version is great. The professional is very cheap if you need 3D autocad alternative. Viewing and editing customer 2d AutoCad drawings with this software for free. I do not have to do this enough to justify purchasing a AutoCad license. Draftsight is free, or cheap, depending on whether you get the free or professional versions. Is close enough to being AutoCAD that skill with either is reasonably interchangeable. The basic drafting method- board drafting on a computer is the same. Draftsight works the AutoCAD .dwg file format, as near to a universal engineering drawing format as you can get. Draftsight has the essential functionality of AutoCAD, vector graphics, layers, blocks, associative dimensions and annotation. Draftsight is available for download and has a small system footprint and is always there in a pinch. There are command line aliases, so when you type 'REFEDIT' at the command line, you get REFEDIT, even though it's called something else in draftsight. 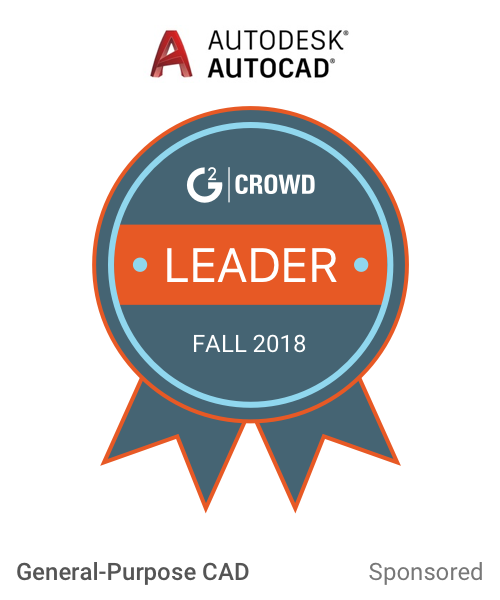 User support via google or the draftsight community is available, but not as universal as AutoCAD solutions on the internet. It's close enough that the differences are confusing and frustrating. The pointer tends to lag and be otherwise not the same as AutoCAD. A small but annoying difference. You can mess up drawings made with AutoCAD Mechanical, MEP or other specialized versions by reducing special annotations, bubbles, bills of material, weld symbols, etc. to simple vectors, which will display properly but can't be edited in the same way they were before. This is something to watch out for and can make revising those same annotations a pain, or more easily redone than troubled with. This is something to be aware of with .dwg files in general. Draftsight does not have 3D solid modelling, but I haven't used that for years, no big loss for me. While Draftsight is not a full seat of AutoCAD, not everyone needs it or can afford it, this is where the price of free or cheap comes in handy. You can put it in front of an engineer, temp or other person you don't have drafting on a regular basis and they can make a scale sketch or drawing for you that you'll be able to plot directly, or pull into almost any CAD application as basic geometry. Remember to mind the basic units when you import! Basic, nothing fancy drafting & design. Working with other people that work with AutoCAD. Adding temporary help without buying more software. Occasional use of .dwg files that does not merit the cost of an AutoCAD license- the occasional electrical schematic .dwg in a shop that otherwise works in Solidworks for instance. "Drafsight: Power To The People"
Draftsight's best quality is that it is entirely free. This gives people the opportunity to take the time and learn Computer aided design software that they normally wouldn't haven't had the chance to learn. Being a chemical engineer, we aren't taught how to use CAD-style software suites, and this is really unfortunate because it's an incredibly valuable skill to have, Case and point, my internship and Co-Op at Vi-Jon heavily relied on by ability to draw P&ID's of the process systems. This isn't a difficult task in any CAD-style program but when AutoCad is several hundred dollars for a licence it takes a relatively simple task and turns it into a nightmare. The software itself is Great. If i'm honest it's not as good as AutoCad, but as a way to learn how to use the type of software. This is especially true as a professional, as AutoCad only offers free software to students. One enormous benefit is DraftSights ability to open drawings done in AutoCad. DraftSight gets regular updates, but it still lacks the full functionality that AutoCad posses. As a simple computer aided design program for things like 2D parts and P&ID's it s just fine but beyond that things can get tricky and it sometimes make me say "forget it, i'll bring my work laptop home and use AutoCad". And that's the problem, it is free but you do in some ways get what you pay for. If the Dassault team spent a little more time developing the software with some of the features that make autocad so usable, it could be a deadly competitor in a lop-sided market. But it's free, you loose nothing by trying it out and maybe learning a few things along the way. Try it. Just try it out, you literally have nothing to lose and everything to gain. Take the time to learn the program and you'll find yourself using it more than you thought possible. "Very thorough, and full AutoCAD replacement for free"
The price-tag without sacrificing much functionality. The keyboard shortcuts, the layout, the tool set, and even the layer management is familiar enough that an AutoCAD user can transition with very little fanfare. There are only two that I know of, and for all that I know, there could be fixes for them. 1. The speed isn't quite the same as AutoCAD. This is very noticeable with larger files even when using the same desktop. 2. Plug-in support. I'll admit to not looking into this much, but I have a hard time believing that plugins written for AutoCAD can be natively used in DraftSight. I will have to look into this a bit more though. Speed will always be the key and comparison for me. Making the software more resource efficient will put my main concern to rest. After that, automatically detecting the file type needed based on other recently indexed cad files found in a directory would be a great addition. Then once the initial type is found, asking for confirmation of a change if the type of files that are found change would also be appreciated. Most of what I use CAD for it for schematics and panel layouts. For this, DraftSight works more than well enough. I would like to investigate plug-in support as we have a few vendors that offer wizards for their products. Though, admittedly, I haven't looked into it much yet. It was a good reader for dwgs, even if it was limited in editing abilities and functions of a full Autocad. Missing full functionability of smart walls and such in AutoCad. Good for minimal use, not a full time program. I do not work in Autocad, and this is a great alternative when I don't want to use my BIM modeling. The pricing is the best thing. it is free. You have most of the options available. Some options are unavailable compared to Autocad. I would fully recommend this program to anyone needing an acad program doesn't want to pay the big bucks to Autodesk. I am able to create quick drawings for my customers. i can provide wiring diagrams and mechanical drawings. Fast, intuitive, tunable, tons of plugins around the web, it's the best free alternative for CAD and it´s free. Only 2D, the 3D view only has the "wiring" view, you can´t see a solid 3D view. "Good for saving down files... "
If doing anything other than saving down files, user manual may be necessary reading. May or may not function more similar to AutoCAD. My day to day drafting software occasionally will not open DWGs that are of a newer version and Draftsight allows us to save down the files which cannot otherwise be opened. The ease of seeing all views of a part in the draft window is nice, and really illustrates features well. Similar to other 2Dimensional cad packages this is a great tool for landscape and simple drafting situations, but the moment complex 3Dimensional designs are needed the use becomes limited. Difficulty in using or even finding some of the commands. The software can show multiple views of a particular part or assembly, but the interface can become confusing when the part is really complex or the assembly gets quite large. "Excellent 2D CAD Package Overall"
Especially given the very reasonable cost, Draft Sight is easy on the computer hardware, but retains a great deal of functionality from other softwares. Since DraftSight is relatively new, some of the tools aren't as refined as they could be. This especially applies on some of the more analytic tools (measuring, etc) than the tools used to create or edit the drawings. Make use of what tutorials you can find before working in the software; you'll save a bundle of time. DraftSight is mainly used for factory floor layouts, and allows us to import SolidWorks drawings to get a great step up on the layout. By using DraftSight floor plans with imported machinery assemblies, we're not wasting time by manually drawing or roughly estimating the machines that need to fit into the floor layout. There is not a lot of customization options unfortunately for the interface. Draftsight is a great program for light and heavy designers and drafters! 2D drawings have been quicker and easier to revise as the client comes back with question or requests more details. "Economically Priced 2D Cad Software"
Easy to use if you have ever used AutoCad in the past. Very well layer out menus and commands make it very easy to learn and navigate in a short period of time. Easy enough to use for both quick concept sketch, as well as detailed drawings. Quick concept schematics for sales quotes or manufacturing fabrication, that don't require the complexity of a parametric 3d modelling program like Solid works, but compliments it very well. "Great tool for quickly reviewing and editing DWGs "
I don't have many dislikes. Sometimes the program can be slow opening up certain files depending on the original program that created them. Good tool for light AutoCAD work. Reviewing files, checking dimensions, Plotting/Printing of dwgs. Helps in making sure the best drawings are used for designs. Enables us to be accurate for construction and estimating purposes. Seamless transition from AutoCAD. Software is identical and easy to learn. Some bugs trying to recreate AutoCAD processes. "Draft sight is a 2D CAD program that allows "
I like the ease of use, the quality of the program, and the length of time it takes to learn is short. With such an easy program, most anyone can pick it up and give it a try. Highly recommended to anyone looking to learn an easy CAD program, outside of AutoCAD. I dislike the fact that there is no 3D capabilities integrated in the program. It is a bit of a hindrance, but not enough to justify not buying the program. The 2D tools on their own are very impressive and capable. Yes I would highly recommend this program to other prospective users. We are trying to develop products using the program to create production ready drawings. "A great lightweight cad program"
It's easy to use, utilizing many familiar controls from AutoCAD. A great alternative to full AutoCAD. Leaves out a few features that are nice to have, no cloud support. Highly recommended as a lightweight, low cost alternative to AutoCAD. I like to use DS on the go, or when I am working on a computer that doesn't have AutoCAD installed. "A free AutoCAD LT clone that runs on Windows, Linux and OSX"
The software is free to use (after online activation), is cross-platform (Linux, OSX and Windows are supported - quite rare still) and focuses on AutoCAD DWG compatibility. It resembles early versions of AutoCAD and can be a good alternative for the quite expensive AutoCAD LT or AutoCAD Full version. The OSX version is still labeled "beta" and as a result has a non-commercial license! Focusing on mimicking an old version of AutoCAD is like living in the past. They should focus on providing something of their own, that sets them apart. If you need some 2D CAD drafting licenses and don't like the price or policies of Autodesk, you can take a look at Draftsight. For enterprises, it can make more sense to buy an enterprise package or switch to AutoCAD LT.
A more lightweight alternative to AutoCAD, which I use sometimes to check DWG files exported from my regular BIM software. "Familiar in interface and feature." "Simple and free version of AutoCad"
Very easy to use, it is free, I don't need to buy Autocad to do my drafting work. It's somewhat hard to navigate. Only good for 2D drawings for me, for more complex scenes I do with point clouds, I use 3D Studio Max instead. "Great product for editing older autocad drawings." It is very easy to use for making new drawings, and this program allows you to use all the AutoCAD shortcut keys as well. Some of the menu locations are different than where they are located in AutoCAD. This is a great tool for being free. Great conversion tool for making dxf's and also to update old autocad drawings that are not in 3D. "I have replaced AutoCad with Draftsight for most tasks"
Simplicity and ease of use. It can do ALMOST everything AutoCad can do for a fraction of the price. The scripting interface and back end programmability is limited. If you are an AutoCad user looking for a cheaper alternative and don't have a library of automation scripts to run AutoCad, this is a great option. Individual shop drawings, detail drawings, sketches, drawing review. "Great FREE alternative to AutoCAD"
It's FREE!! For most people in the 3D design world you need software that will edit .dwg files. DraftSight does this very well giving you that familiar feel of AutoCAD at the same time. The dimension styles and scales are always what's lacking in a 2D software. I think DraftSight is trying to mimic AutoCAD in this sense. But both programs can be frustrating in this regard. A great tool to use to view and edit .dwg without having to pay out of pocket. DraftSight is very easy to use for all different skill levels. It works very well when viewing DWG files. Simple to understand and navigate. I have noticed the application to freeze up and at times crash when too many files are already opened up. My only other concern is the massive amount of spam emails that come through since signing up for this application. This software is used mostly to pull up our CAD drawings and save changes for operational manuals. This application works very well when compared to past versions used. "DraftSight is a very viable replacement for Autocad"
The free aspect of the software is what I like best. This keeps our cost for software down to a minimum. while still giving us access to our legacy data. There are a few few things that are different from traditional Autocad but nothing that I would consider a dislike. DraftSight has enabled us to still create and edit 2d CNC files and give us access to legacy data without incurring the additional cost of licensing. "Everything you need for simple engineering drawings - for free!" It's free. That's why I originally downloaded it and it works for everything I need. I'm glad that it can handle a sufficient number of drawing formats. Also, it is easy to use immediately after download, no learning curve. I only use DraftSight for extremely simple application. There are no negatives. This is not a full featured application, but simply a bare bones drawing application for easy use. Draftsight has been used in a small company (<10 people) to produce simple manufacturing drawings. Our budget did not allow room for more advanced (unnecessary) drawing software. Draftsight has fulfilled our needs for free. "Draftsight for design new lab"
I used it to design the new laboratory without great consciences on CAD software. Draftsight is immediate. was a really mac stable useful alternative to the overpriced main stay cad programs. Then it got an 'upgrade' just I was going recommend purchasing for the company… nothing works properly... at all & tech support really really do give a…. a great program was really stable and useful. Completely and utterly lost it somewhere .. maybe in mac os x upgrades? Don't know keep up some pressure & there may be a winner there. "All the basic 2D tools for DWG creation and editing"
"DraftSight has flaws but gets the job done." DraftSight allows easy access and modification to common dxf and dwg files when other CAD applications may have complicated interfaces to deal with legacy files. The program can be glitchy and crashes repeatedly with certain drawings. DraftSight handles 2D CAD with an AUTOCAD style command line and 3D CAD style push-button interface for ease of use, but be sure to save often when manipulating others' files to ensure a crash does not delete your data. I need to common 2D CAD files to translate information between users of various 3D CAD systems. "Best free 2d CAD program"
Great tool to try out CAD, but better options out there if you are willing to pay. We use this to edit 2D drawings created by venders that use cad packages that we do not own. * We monitor all DraftSight reviews to prevent fraudulent reviews and keep review quality high. We do not post reviews by company employees or direct competitors. Validated reviews require the user to submit a screenshot of the product containing their user ID, in order to verify a user is an actual user of the product. Hi there! Are you looking to implement a solution like DraftSight?